Culture is comprised of concepts, values, beliefs and assumptions about life that guide behavior and are shared by people of the same group without the need for explanations. This results in unspoken rules and expectations and shared understanding within the group that are invisible, difficult to uncover, and very challenging to change. “Culture eats Strategy for Breakfast” has proven to be true in many major change initiatives, mergers or takeovers that failed because the dominant culture was not made visible and dealt with in a pro-active way. Fundamentally different or unfamiliar cultural dynamics in the global market place, diverse employee and client demographics as well as virtual team engagements can likewise present significant challenges for businesses and communities around the globe. Cultural differences in the workplace can have a detrimental impact on the quality of services and work product due to undetected misalignment or unfortunate misinterpretations. 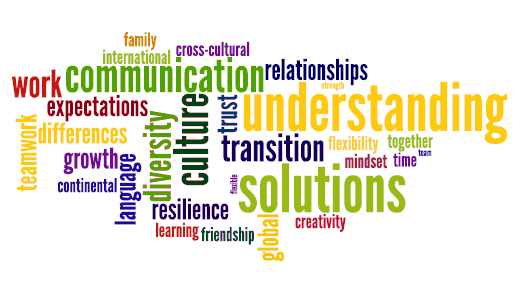 Global competency is the ability to navigate cross-cultural differences in order to communicate effectively. It is a key component for international business success. All aspects of business, including relationship building and problem-solving, are impacted by culture. Understanding how culture drives work practices is therefore crucial for effective collaboration between people, especially between team members from different cultural backgrounds. Butler Communication has proven tools and experience in successfully bridging cultural divides and fostering global competency in leadership. Fundamentally different or unfamiliar cultural dynamics and changing demographics present new challenges for businesses and communities around the globe. Butler Communications offers focused consulting services to answer pressing intercultural questions with emphasis on practical solutions. Cultural Awareness Training has become a standard component in the talent management and development strategies of many leading organizations. Understanding culture markers, different cultural interactions and business styles enhances team cohesiveness and effectiveness across all corporate functions from sales to procurement, technology, and support services. In the rapidly expanding and changing global marketplace, business leaders are being asked to do more with less support, preparation, time and resources. Effective communication that addresses and pro-actively navigates cultural obstacles is often the driver behind successful product launches or change initiatives. We are looking forward to talk with you, learn about your organization, and hear what works well and what challenges you are facing. Let us help you release the best in you, your team, and your organization! Contact us for a Complementary Training Needs Assessment.